Should County Government Be Abolished Altogether? In the future? Definitely, YES. Think about it folks. Think about it’s various functions. Milwaukee County Transit? It should be handled by the state. It is really a state functionary. The buses should run across the state, and be funded by the state. There should never be County political issues with busses. The airport? It should be totally run by state and federal authorities. It serves the state and the Midwest. It serves Chicago. Why should Milwaukee County be footing the bill for anything at the airport. It is regional and international. The Zoo? All of it’s most important decisions have been made for years by the Zoological Society, a non-profit. Why would we need civilian county supervisors to supervise the elephants. This is nuts. The County Courthouse? It totally houses all of the state courts. The County Supervisors are seldom found in their offices. It should be a State Courthouse Building. The Museum is already no longer run by the County. Parks and Recreation should be state parks run by managers. Bring back Sue Black before it’s too late. And we don’t need a Sheriff’s Department. It should all be State Police and City Police, just like most of the other states in the country. Keep the sheriff and the deputies, but transfer all of them to state and city departments. The county supervisors? Transfer them all to state or city jobs. The County Executive? Waste of money. We never had one until recent decades around here. We don’t need one now. He should be replaced by a State Area Manager. That’s SAM to you, buster. 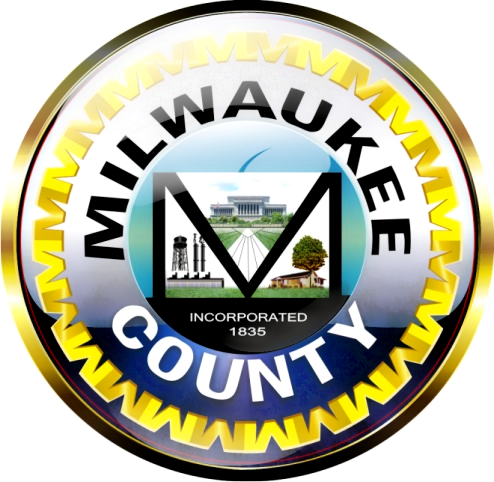 This entry was posted in EisenBLOG, Law, Milwaukee, Wisconsin and tagged County Government, Government, Milwaukee County on January 24, 2013 by Alan EisenBlog. The entire country seems to be in a turmoil because of ferocious gun debates taking place everywhere. Vice-President Biden has been appointed by President Obama to head a guns and violence task force. At this time sources say there over 300 million firearms in homes, cars, places of business and people’s pockets. That’s one gun for every person. Almost everyone either has one or wants at least one. The national conversation has been prompted by recent mass shootings and massacres. The first target in the activists sights are the high-powered military style automatic weapons. The owners say they need them for hunting and self-defense. Use of a “Bushmaster” would turn a deer into a lead statue in five seconds. A human being target would become Swiss cheese. The NRA insists that ownership, possession and use of all firearms is protected by the Second Amendment. The founding fathers probably knew nothing about Bushmasters and AK 47s. The NRA has begun a campaign to abolish all “gun-free zones” at schools. They want armed guards and armed teachers at all schools. Perhaps all children should be armed with guns at birth. The next problematic area is that the use of the high-powered guns requires use of high capacity magazines. With these ammo machines one can kill 200 people in five seconds. And one Teflon bullet can penetrate 3 people, and even police wearing armor! Guns don’t kill people, it’s bullets that kill people. And people kill people. Why? Some are worked up after seeing violent video games and movies. Or violent TV shows. Or the nightly news! Many of the worst killers always turn out to be mentally ill. Announcements are already being made by NRA people and politicians that there will be no changes made legislatively, and any politician who tries will be run out of office. The President can issue effective (maybe) executive orders. If one doesn’t want to pay full price, there’s always Wal-Mart, America’s biggest weapons purveyor, or better yet, gun shows where no one gets checked for felony records or mental health commitments. Even that isn’t the best method anyway, because there are millions of nut-jobs cruising around who have never even seen a doctor. Is there a solution for all of this? We would love to read your suggestions; contact alan@alaneisenberg.com, with your opinions. The photo is of Ted Nugent, the number one pro-gun guy. Nice, hmmm? This entry was posted in EisenBLOG, Guns, Law on January 10, 2013 by Alan EisenBlog. Governor Scott Walker recently confirmed that he will not consider or grant pardons while he is governor of the state. All previous governors granted pardons. 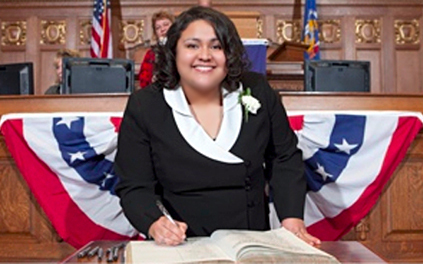 The move has an impact on minorities throughout Wisconsin. As Walker knows, a pardon can open a door for better employment and a multitude of other societal benefits. The local daily reported on the situation this week, but their article was loaded with inaccuracies. State Representative JoCasta Zamarippa how ever took a different stance, and went on the record to indicate that she has begun “her own legislative investigation to look into ‘de-politicizing’ the pardon function and removing it from the Governor’s control.” Many states regulate the pardon function by relegating the responsibility to departments of divisions or corrections, and treat it in a totally NON-partisan way. Governors seeking higher office or re-election can suffer negative consequences if they grant the wrong person a pardon. Non-partisan entities cannot. Standards usually call for long periods of good behavior and/or community acceptance and a long list of other requirements, all of which Walker intents to ignore. Most people believe that offenders should get a second chance if they meet the requirements. Some people believe that even minor offenders should be stigmatized for life. It is possible that the legislature may hold hearings on this important subject in 2013. Some states have recently moved to completely decriminalize some offenses. Should a person in Colorado convicted of mere criminal marijuana possession now be eligible for a pardon? A related topic is expungement in Wisconsin, which is totally left to the discretion of a trial court judge and restricted only to those convicted of misdemeanors between the ages of 18 to 21. All judges are also political officials, who often have one eye on the ballot box. A pardon or expungement does not erase a police record. A pardon is not reported to the convicting court, either. A fresh look at these processes is needed. This entry was posted in Law, Wisconsin on January 7, 2013 by Alan EisenBlog. Marijuana: It’s Time to Re-think It! By Alan Eisenberg, Editor and Craig M. Pradarelli, M.D. Sometime in the early part of the last century the State of Wisconsin made the possession of marijuana unlawful. This followed a move by the US Government which eventually made marijuana a Schedule 1 Narcotic. Schedule 1 narcotics are those which have no recognized medical use. There has been much research which demonstrates that there are long list of legitimate uses for marijuana in the treatment of health and disease. A good example of this is Dronabinol which is an extract of the marijuana plant. Other examples are found simply by going to Pubmed.com and reviewing the voluminous research that is available to be read there. As is evidenced by the fact that there is now extracts from the plant being used in every day medicine along with the fact that marijuana now has numerous other uses demonstrates the fallacy under which marijuana became a Schedule 1 narcotic. It also seems that the laws prohibiting the possession and use of marijuana are in opposition to the will of the people of both the United States as well as the State of Wisconsin. The U.S. Substance Abuse and Mental Health Services Administration found 17.4 million Americans were using marijuana in 2010. Other research indicates that a significant number of Americans have reported to researchers that they have tried the plant. While not necessarily legal in Mexico, a huge portion of the population uses it there. 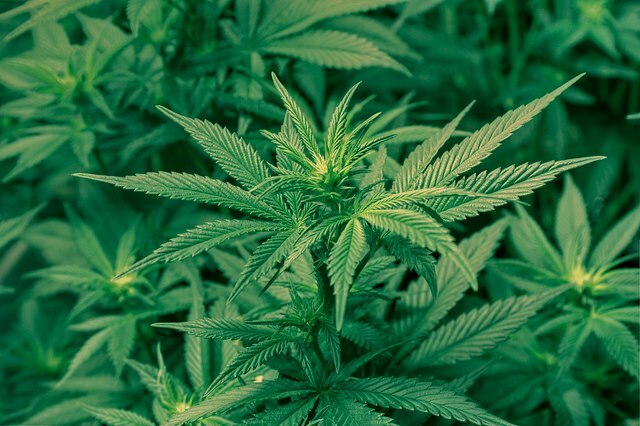 Twelve states allow use of “medical marijuance” which was accomplished after vast research. Two states allow use for both medical and recreational purposes.The current prohibition of marijuana is financially damaging to both the economy of the State of Wisconsin as well as the United States. Currently the majority of marijuana consumed in the United States is grown outside of the United States. By virtue of the fact that marijuana is unlawful to grow in the United States this prohibition forces the trade deficit to increase. In other words marijuana prohibition is forcing US dollars to leave the country and forcing huge exxpenditures for unnecessary law enforcement. As you are aware the State is having problems meeting its budget. While there have been some efforts to obtain a balanced budget there are still huge agencies such as the Department of Natural Resources which for reasons that escape logic are taking funds needed to properly fund the rest of the state, and instead purchasing land that is not needed by the State, preventing funds from being generated by the property taxes of these lands. Associated with the prohibition of marijuana is the cost of enforcing the prohibition. The late Milton Friedman, a noted and well respected economist, estimated that the annual cost associated with prohibition of marijuana was 7.7 billion dollars annually. Roughly 2% of that is the cost to the State of Wisconsin associated with the prohibition of marijuana or roughly 106 million dollars. The same study related the following “Revenue from taxation of marijuana sales would range from $2.4 billion per year if marijuana were taxed like ordinary consumer goods to $6.2 billion if it were taxed like alcohol or tobacco.” Again assuming 2% of this for the State of Wisconsin would yield 48 million dollars to the State of Wisconsin. It must be pointed out that every day in the State of Wisconsin there are numerous cash sales of marijuana which the State is not currently receiving any portion of the sales tax which it is properly entitled to. When looked at in its totality the prohibition of marijuana did not come as a result due to a demand from the populace, was based on nonfactual information and hysteria, did not account for the fact that it has medical uses, is used by thousands of Wisconsinites recreationally irrespective of the prohibition, and is extremely expensive to enforce the prohibition and would generate savings and revenue if legalized. At this time, some legislators are considering legalization. Send your response to alan.eisenblog@gmail.com. This entry was posted in EisenBLOG, Health, Law on January 7, 2013 by Alan EisenBlog. The Life Of Pancho Villa Starring Pancho Villa is a four-star movie and I would like readers to understand that the movie has had a substantial impact on my life. Pancho Villa came from humble beginnings but was a most important general and military strategist during the years of the Mexican Revolution, 1914-1917. Winning the battles in the north of Mexico enabled him to dominate the region because of its economic importance to the country with its mining, oil, and agricultural concerns. To finance his military ventures, Villa made a contract with west-coast movie producers to make a film about the revolution as it was happening. Although the movie was a silent film, Villa was a natural and brilliantly portrayed himself. His contract with the production company required him to only wage his battles during daylight hours because night-time filming & lighting technology did not exist and the movie had to be shot in sunlight. One of the climaxes in the movie occurs when Villa engages the Federales at Torreon. Although he and his troops survived the battle, the Federales seemed to have a surprising store of munitions. Though violating his contract with the film producer who had paid him ungodly sums of money for filming rights, Villa attacked the Federales at Torreon in the middle of the night when film crews could not film. The producer was enraged when Villa also blew up the church and stormed into Villa’s quarters to tell him off. The producer began by throwing a Virgin of Guadalupe medal on the dirt floor in anger. Villa had given the medal to the producer to protect him. Villa then explained that the church was destroyed because it was loaded with munitions and explosives and urged the producer to look out the window. As he did so, the producer saw a mini-version of Hiroshima and realized that Villa had saved his and everyone else’s lives by blowing up the church. This battle was the most important battle that ended the Mexican revolution’s war efforts. The movie is a masterpiece and will no doubt be, at least, nominated for an Emmy. The movie is currently being shown nightly on the HBO Network cable channel, and stars Antonio Banderas. Because I was inspired by the movie and the life of Pancho Villa, I had to think about why I identified with him. I realized, that like Villa, I have spent my life helping the poor, the underdog, and the disenfranchised with little regard for money, power, or influence. Like Villa, I have attempted to be a leader. Recently, Victor Huyke and Nelson Goodson, Publisher and Managing Editor of El Conquistador were guests on the “The Alan Eisenberg Show” (WRJN, 1400AM, Sundays 8pm-9pm CST) and in part discussed the life and reputation of Pancho Villa. I was corrected by both because I thought Villa had been a bandit. I learned then that Villa was a ‘Robin Hood’ at worst, and a freedom fighter at best, spending decades in liberating his people. I suddenly realized that I needed to learn more about Villa. I immediately began researching history books about Villa. Pancho Villa was born Doroteo Arrango in Durango, Mexico in 1877. Some reports set the date as either 1878 or 1879. Historians report that his real father was Luis Ferman Gurrola, the son of a Jewish immigrant from Lichtenstein. Villa’s half-brother is reported to have been a practicing Jew. At age 16, Villa killed a man who raped his younger sister. Somewhere during the next five years he changed his name to Francisco Villa to evade the law and protect his family from revenge-seekers. In his twenties, he worked as a miner, a bank-robber, and a cattle-rustler. By 1910, he joined Francisco Madero’s Revolutionary Forces and due to his charismatic persona, he was able to recruit an army of many thousands, which even included Americans. Villa ruled over northern Mexico like a medieval war-lord. According to one of Villa’s last surviving widows, he officially married 26 times. In 1923 he was assassinated while returning from bank business in Parral, Chihuahua. Today Villa is remembered with pride by most Mexicans for having led the most important military campaigns of the constitutionalist revolution, in which his troops were victorious as far south as Zacatecas and Mexico City, east as far as Tampico, and west as far as Casas Grandes. Because of Villa’s Columbus escapade and subsequent evasion of U.S. Troops, he is also often cited as the only foreign military personage ever to have “successfully” invaded continental U.S. territory. I have searched Milwaukee for local traces of Pancho Villa. On a tip from journalists, I discovered Frank Villa II, a banker at the Mitchell Street Bank. It appears that Frank Villa, who is also the son of Frank Villa, Jr. a Milwaukee religious cleric, is a descendent of Pancho Villa. Frank Villa, the banker, is descended from Pancho Villa who was a bank robber, but also a hero. Frank Villa’s great uncle, who died twenty years ago his late eighties, actually rode with Villa in battle and was a bugler. In the editorial offices of El Conquistador, Villa is depicted in a picture which includes an ancestor of Victor Huyke. As we go to press, we are forming “Viva Villa”, a group formed to celebrate the life of Pancho Villa, study historical accounts, and present a Pancho Villa exhibition at Fiesta Mexicana in 2004. Interested parties and aficionados should contact Alan Eisenberg, (414) 344-3333 for more information. This entry was posted in EisenBLOG, History, Movies on January 6, 2013 by Alan EisenBlog.